The Winter Builder Charms were first available during the annual Great Winter Hunt event in 2014. The source, cost, and effects of this charm can change from event to event. 15 December 2014: The Winter Builder Charm was introduced during the second week of the Great Winter Hunt 2014, although the Larry's Loot Lexicon page had been discovered on 9 December 2014 thanks to the description of the Builder Mouse. 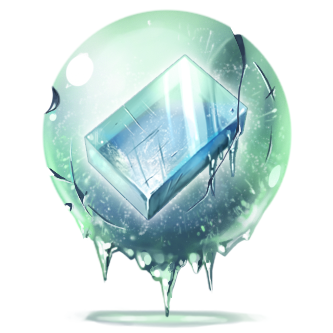 During the Great Winter Hunt 2014, the Winter Builder Charm could be purchased at the Festive Ice Fortress Charm Shoppe using 1 Winter Charm and 1 Magic Essence. The festive essence of wintery ice is frozen deep inside of these charms. They cause ice to magically multiply! Serious ice sculptors should be sure to secure some! Using this charm attracts the Builder Mouse, who drops a lot of Ice Bricks during the Great Winter Hunt, and the Snowflake Mouse, who drops plenty of festive goodies! This page was last edited on 17 August 2016, at 14:48.